Seeking relief from the devastation of post-war Britain, Richard and Emily Quizzenbury embark on a tour of India. They plan to initially spend a week in Bombay with Richard’s old Oxford chum, Victor Bloodworth, after which they will satisfy their appetite for adventure by exploring historical sites throughout the Indian subcontinent. area of the Indian Central Provinces. Victor is the illegitimate son of a wealthy Englishman, now deceased, who was by trade a legendary big game hunter. While Victor has long since rejected his father’s brutal profession, he is himself a skilled hunter and reveals his intent to help the people who are being threatened by the leopard. 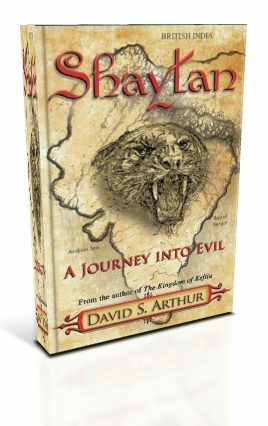 Although the villagers of the region believe the man-eater is a demon that they call Shaytan, Victor is convinced the leopard is actually being forced to prey on humans due to injury or old age. He wants to capture the animal alive and relocate it to a zoo for scientific study. Quite unexpectedly, Victor invites the Quizzenburys to accompany him on the hunt, explaining that his uncle and spiritual mentor, Ashok Kahn of the Forest Guard, will join them as an expert Shikari guide. The Quizzenburys reluctantly agree, hoping Victor will be able to capture the beast as quickly as he anticipates, so they can be free to pursue their travels. However, the hunt for the leopard soon escalates into a terrifying struggle for survival during which many innocent lives are lost, as the hunters – and the Quizzenburys – become the hunted. 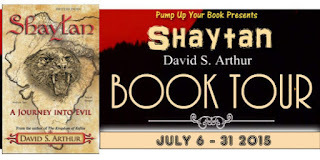 Shaytan: A Journey Into Evil is available at Amazon. Richard and Emily are out hunting a killer. They join Victor as the are thrust into this unknown world. Gods, aliens and a killer that no one knows much about. this to me felt like one of the most Sci first books I have read in awhile. It has very interesting story and you have to pay close attention in the book to follow along. I loved the characters and it is easy to get sacked into the story and realize hours have passed and you have not moved. 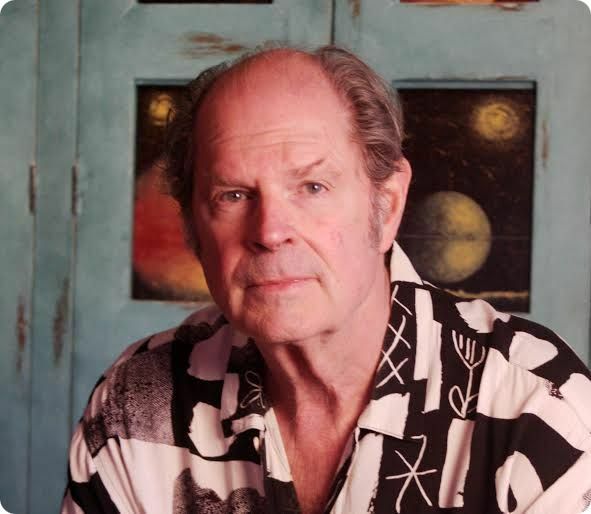 David S. Arthur is an American novelist with a taste for international adventure and ancient history. THE KINGDOM OF KEFTIU: A MYSTERY OF THE ANCIENT WORLD was David’s first book to feature English historical sleuth, Richard Quizzenbury and his feisty wife, Emily. It is an archaeological adventure set in the Greek islands. His new novel, SHAYTAN–A JOURNEY INTO EVIL, continues the Quizzenbury Adventure series. 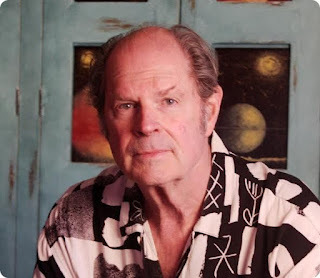 Before focusing on fiction writing, David enjoyed a long and rewarding career as a writer, producer, and director of hundreds of film and digital video presentations, theatrical performances, concerts, and large scale audience events. David currently lives in Santa Fe, New Mexico. Visit David S. Arthur’s website.